STOREP 2018 - Whatever Has Happened to Political Economy? Home > STOREP ANNUAL CONFERENCE > STOREP 2018 - Whatever Has Happened to Political Economy? 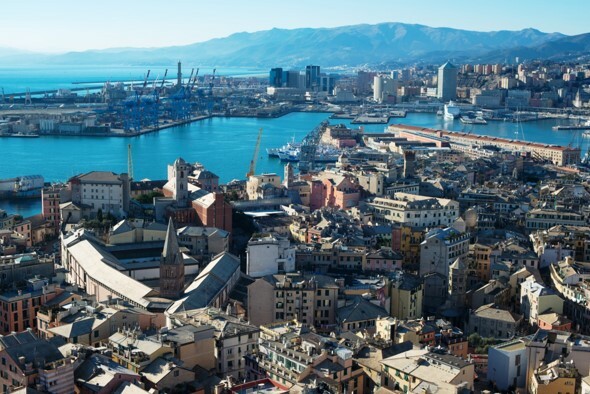 The 15th Annual STOREP Conference will be held at the Università di Genova, Dipartimento di Scienze Politiche, Piazzale E. Brignole, 3a canc., on June 28-30, 2018. The title of the conference is “Whatever Has Happened to Political Economy?”. There is considerable discussion on the current state of the economic discipline, on the relevance of its theories and models to the contemporary world, as well as on the appropriateness of economists’ toolkits. Held under scrutiny is the conception of economics as axiomatic science of rational choice, promoted by Lionel Robbins’ systematization in the early Thirties. According to its critics, the inadequacy of economics in the times of the global crisis may have to do exactly with the roads not taken after winning the competition with the alternative, and preceding approach of political economy. What happened to political economy is therefore a nontrivial question, for today’s practitioners in economics. The 15th Annual STOREP Conference will bring together historians of economic thought, economists and other social scientists to explore the tensions between political economy and economics in historical perspective, with an eye to present times. The conference will address the main lines of evolution of political economy, from its advent in the 18thcentury to its consolidation as field of study devoted to the analysis of the relationships between individuals and society, markets and the state, to, finally, its surrender in the Thirties, with the separation between economics and moral considerations, and the progressive diffusion of the formalist approach in economics. The historical perspective wherewith the Conference will look at such developments is necessary for two main reasons. First, the comparison between political economy and the approach of economics as we now understand it allows identifying the principal turning points in the evolution of the economic discipline and its mainstream (the advent of econometrics, the progress of economics imperialism, and others), but also in the plot of the evolving lively debate between various heterodox schools of thought. Second, this perspective helps appreciate the (changing) extent of variety intrinsic to both mainstream and heterodox economics in their developments until the last part of the 20thcentury. By attempting to discover what has been lost in the passing from political economy to economics, the Conference aims at retracing the origins of the current “political economy” (presumably or so) approaches in economics – from “political economics” to “international political economy”. But it has also the ambition to provide insights on the current state of economics, on its more and more fragmented nature, as well as on the revival of various dimensions of (and issues broadly related to) the “political economy” perspective in a series of (mainstream) research programs at the frontier. From political economy to economics: what has been lost? STOREP welcomes special sessions jointly organized with other scientific associations, and invites these latter to submit proposals. We are pleased to announce that distinguished colleague Professor Geoffrey Hodgson (University of Hertfordshire) will join the conference as keynote speaker. Professor Harro Maas (University of Lausanne) will deliver the second “Raffaelli lecture”. As in 2017, the 2018 STOREP conference will jointly organize initiatives and special sessions with the students and researchers of the international network “Rethinking Economics”. The deadline for abstract and session proposals is March 24, 2018. Notification of accepted and rejected abstracts and sessions will be sent by April 9, 2018. Proposals must be uploaded on this site (follow instructions by clicking on “Information. For authors” in the right column menu). May 25, 2018: Deadline for early registration (early fees). June 10, 2018: Deadline for late registration (late fee) and for submitting full papers. 1) Scholarships for young scholars (under 40 years of age, non tenured). In order to be eligible, the applicant is required to submit a Curriculum Vitae and an extended abstract (2,000 words ca., both to be uploaded on the Submission website) on any topic relevant to the history of political economy, by March 24, 2018. The final version of the papers must be uploaded within May 15, 2018. Applicants will be informed about the result of the evaluation process no later than May 30, 2018. The authors of the papers selected will be awarded free STOREP Conference registration, including the social dinner and the association’s annual membership fee, as well as, if possible, a lump sum contribution to travel and staying expenses. 2) The STOREP Award (of 500.00 €) for the best article presented at the Annual Conference by young scholars under 40 years of age. All applications, with CV and the final version of the papers, should be sent to segretario@storep.org no later than September 15, 2018.